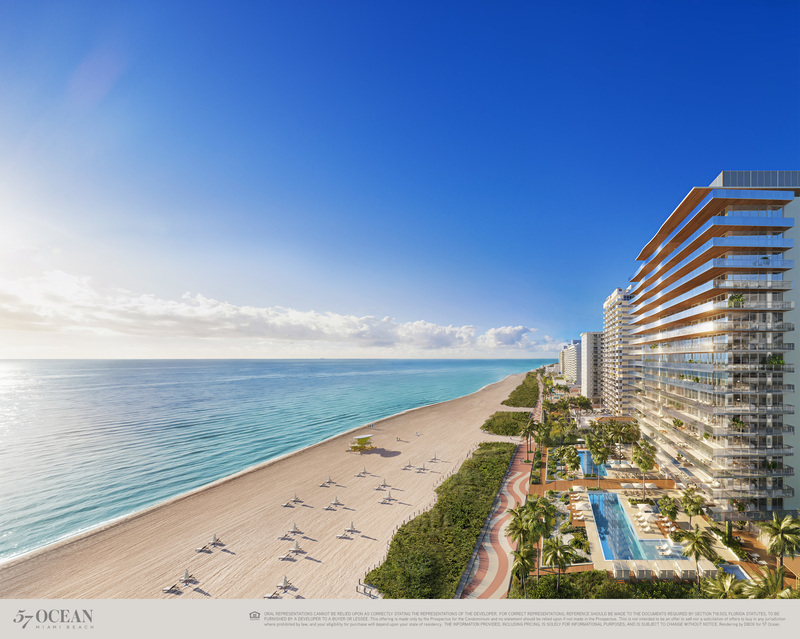 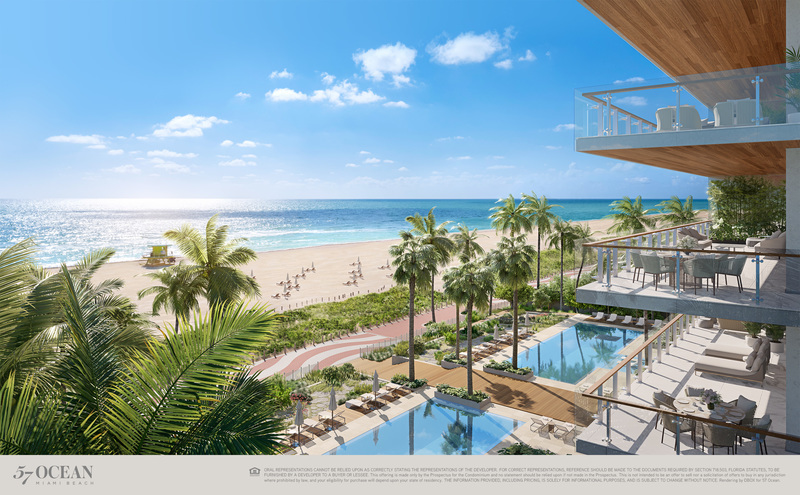 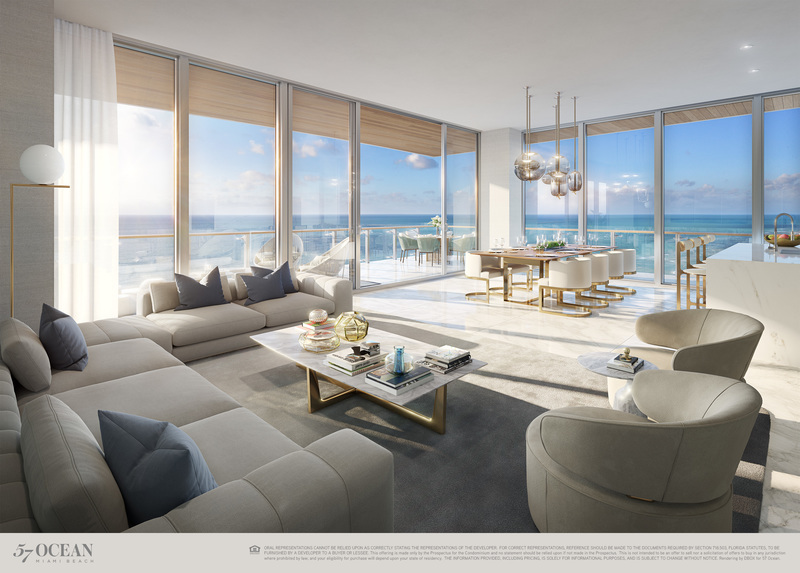 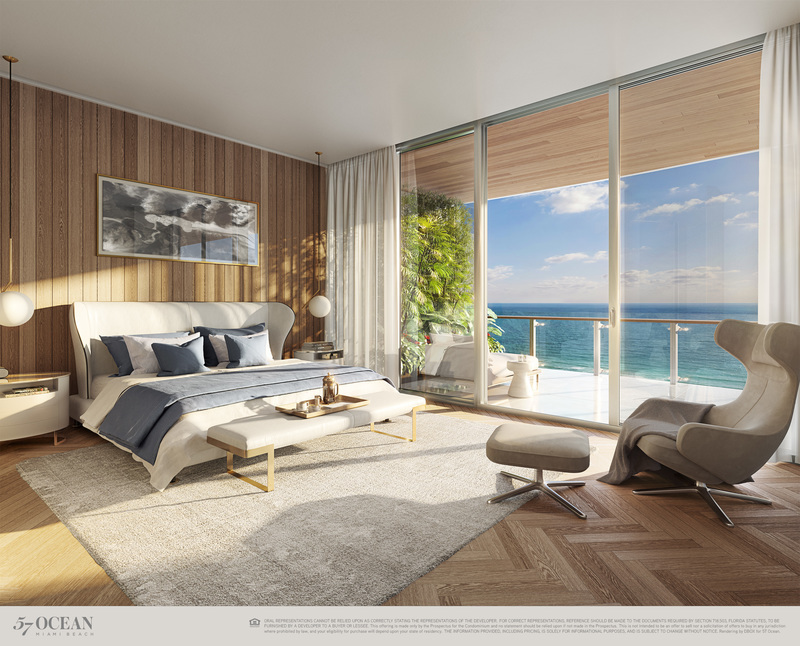 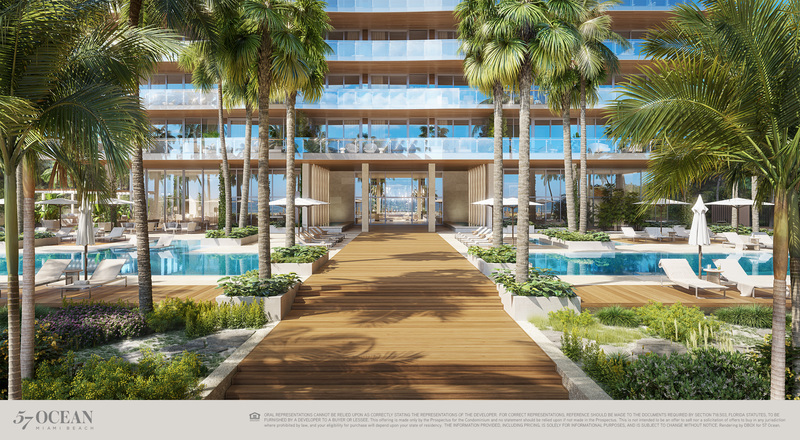 On the sands of Millionaire’s Row, Miami’s most beautiful and exclusive strip of beachfront, sits 57 Ocean—a distinctive building that sparkles among its peers. 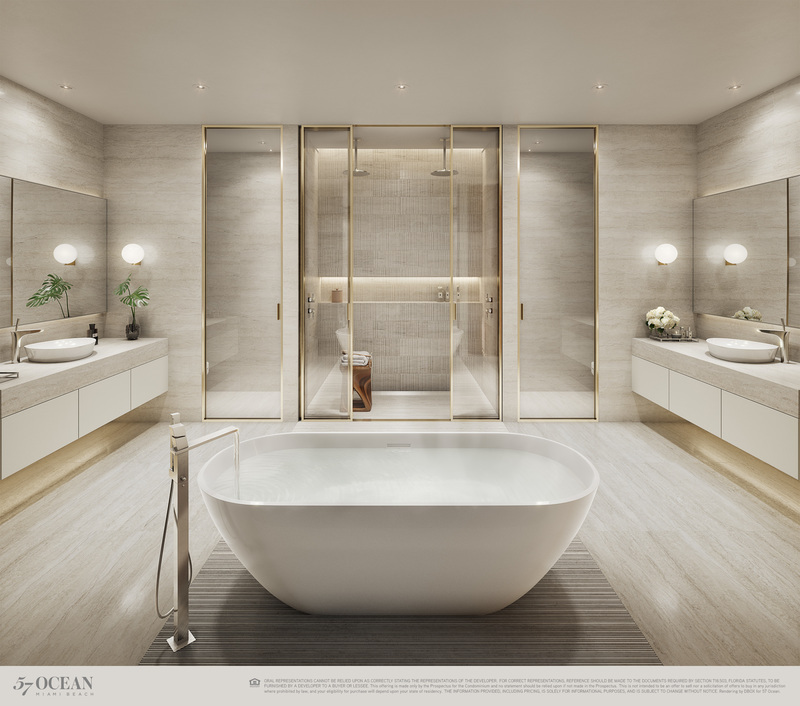 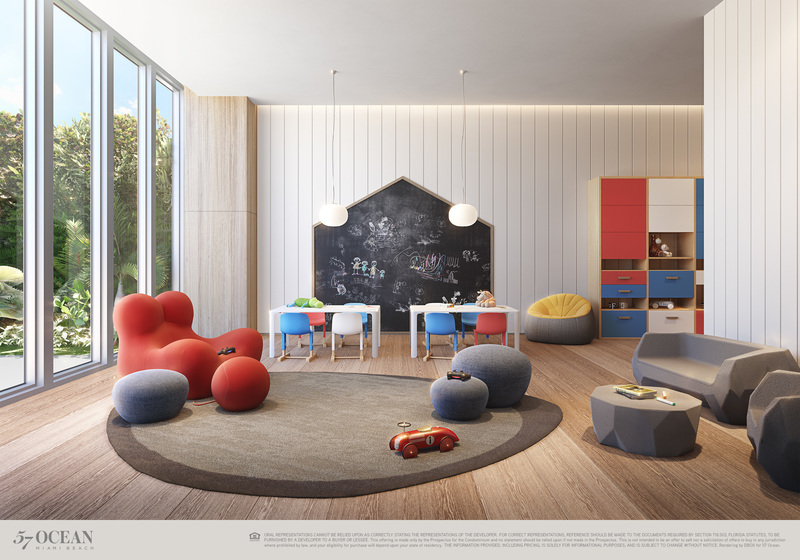 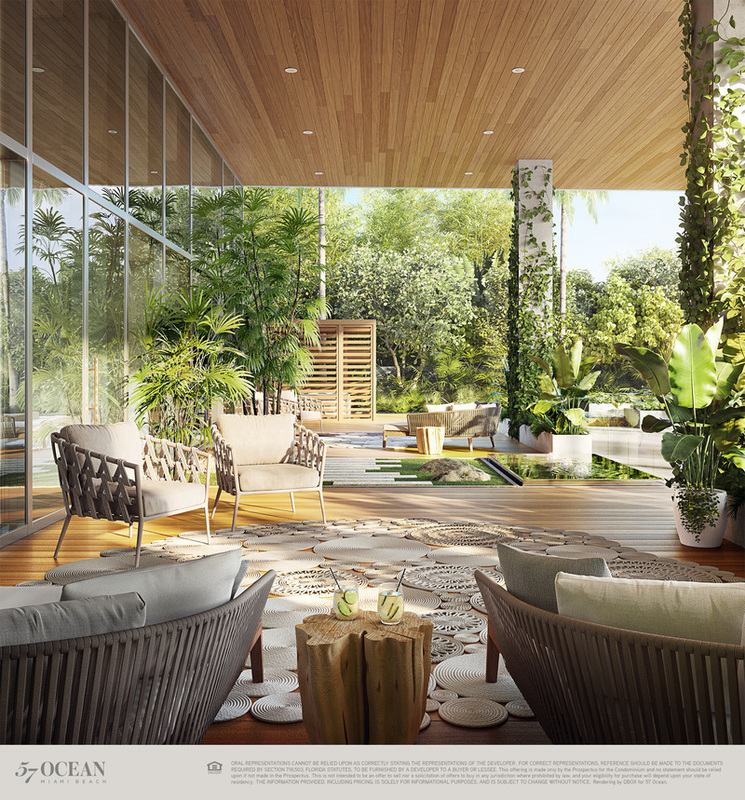 Award-winning Arquitectonica has partnered with world-class designers to create a residence that is in complete harmony with its surroundings. 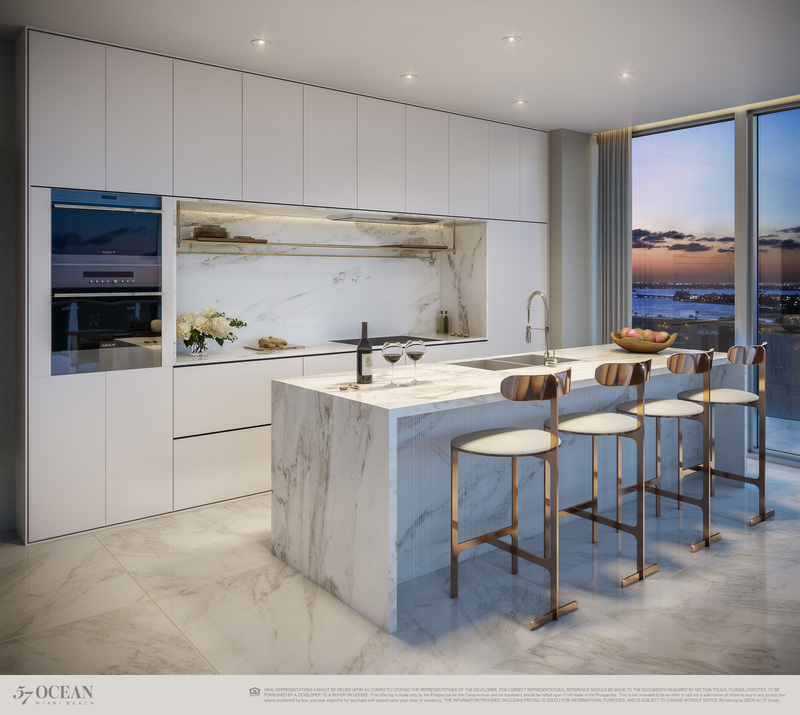 Every aspect of the design—including the use of materials, the soft undulating façade, the flow of its interiors—is in constant dialogue with the sea. 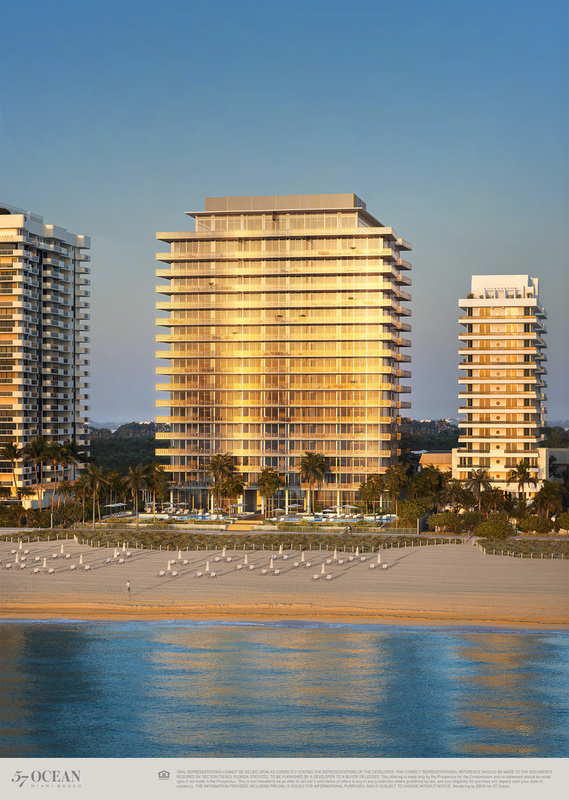 From the moment you arrive, the ocean beckons. 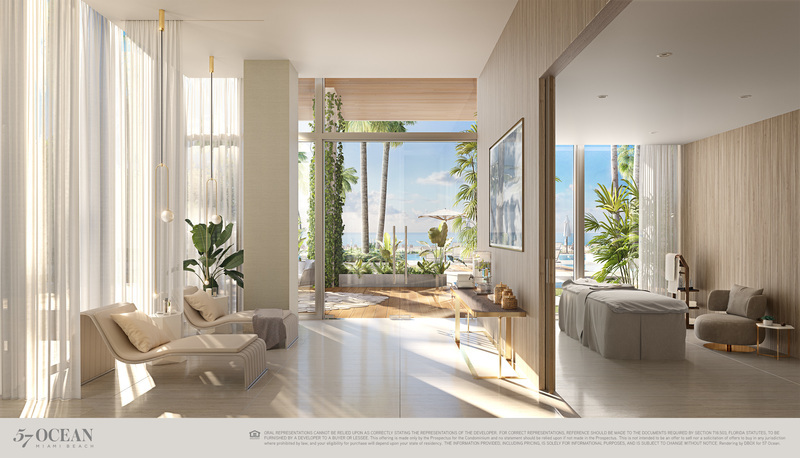 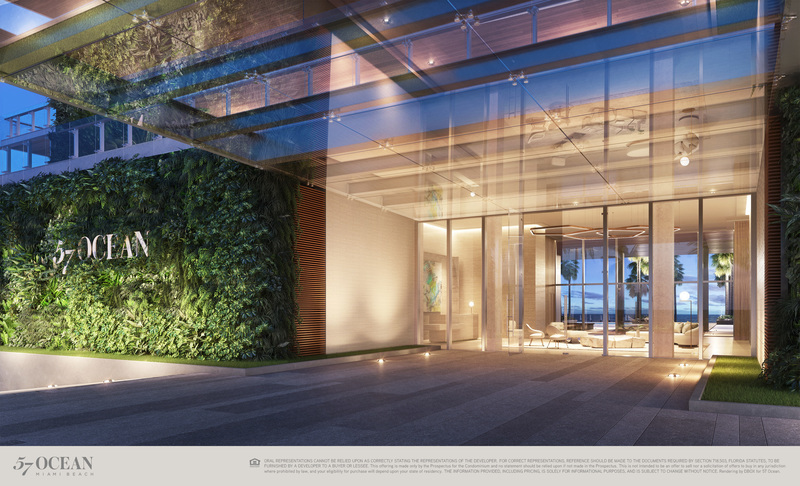 Grand vertical gardens guide you from the porte-cochère through a double-height lobby awash in natural stone, past the pools and meditation gardens, straight to the sand. 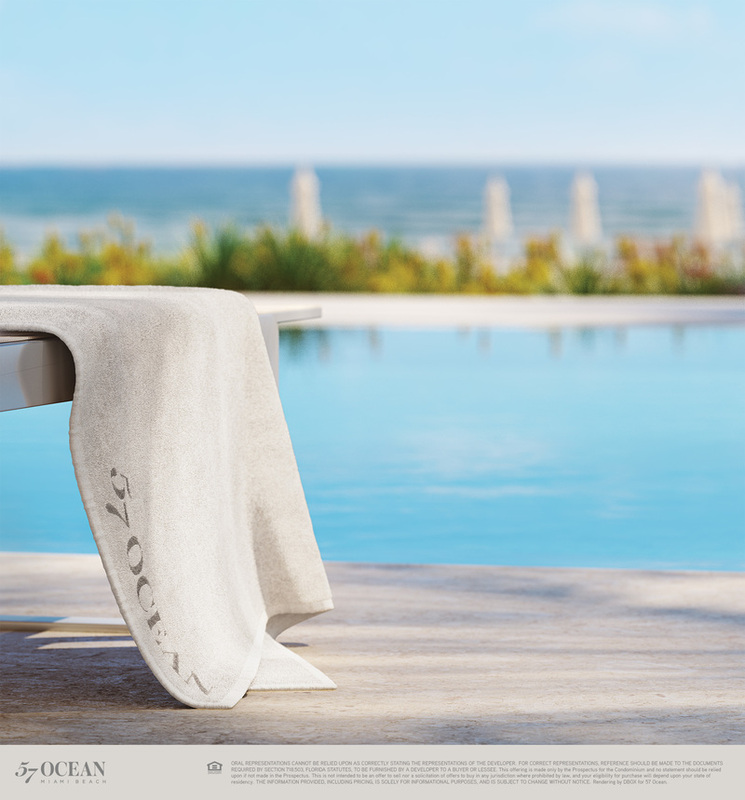 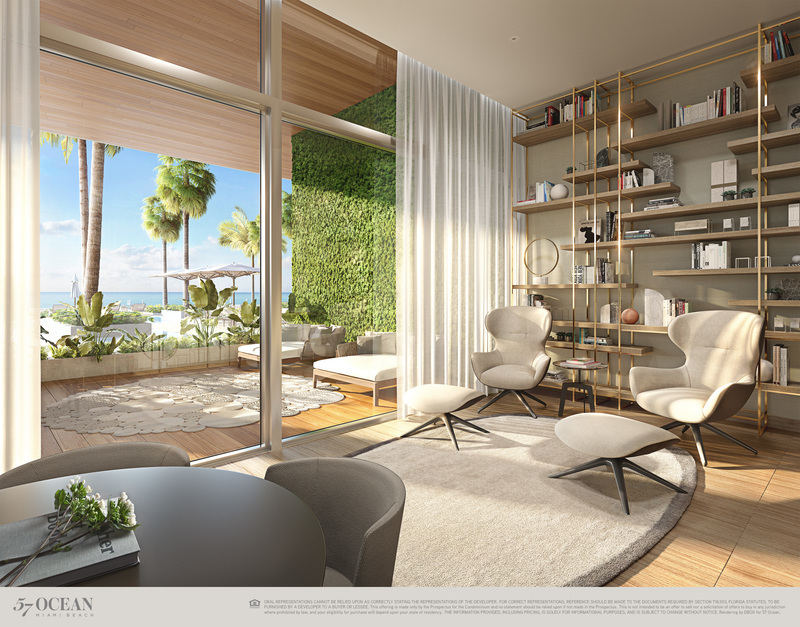 The transition has never been more seamless: from city, to home, to ocean. 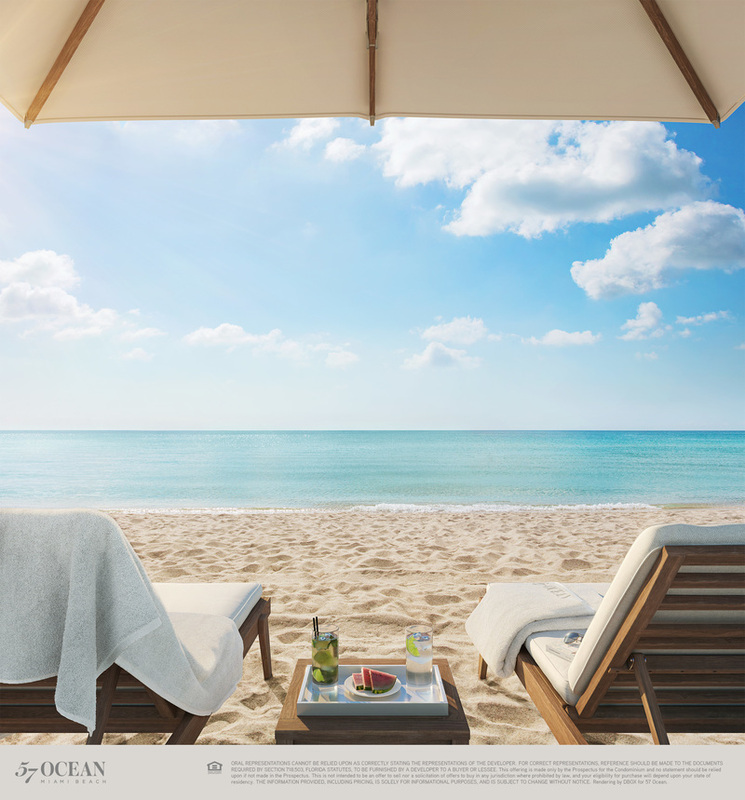 Here, the cadence of the Atlantic sets the pace for a life lived in full. 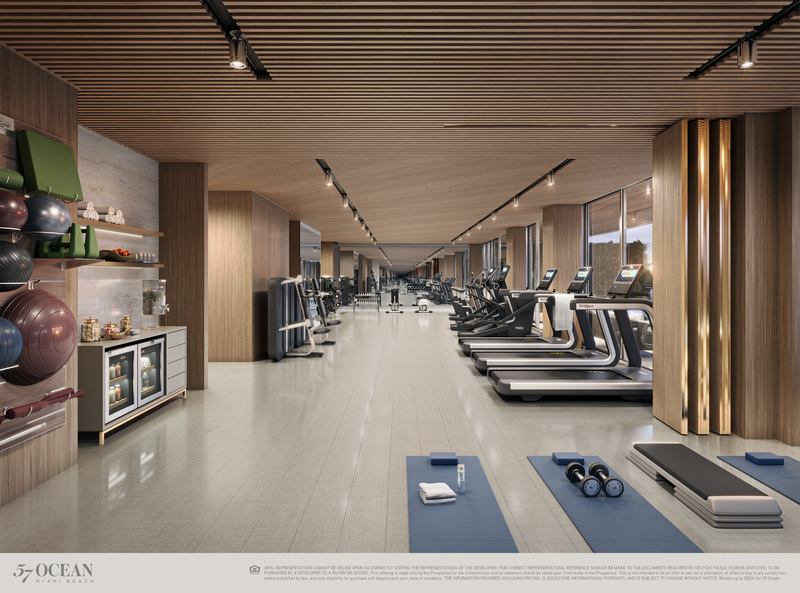 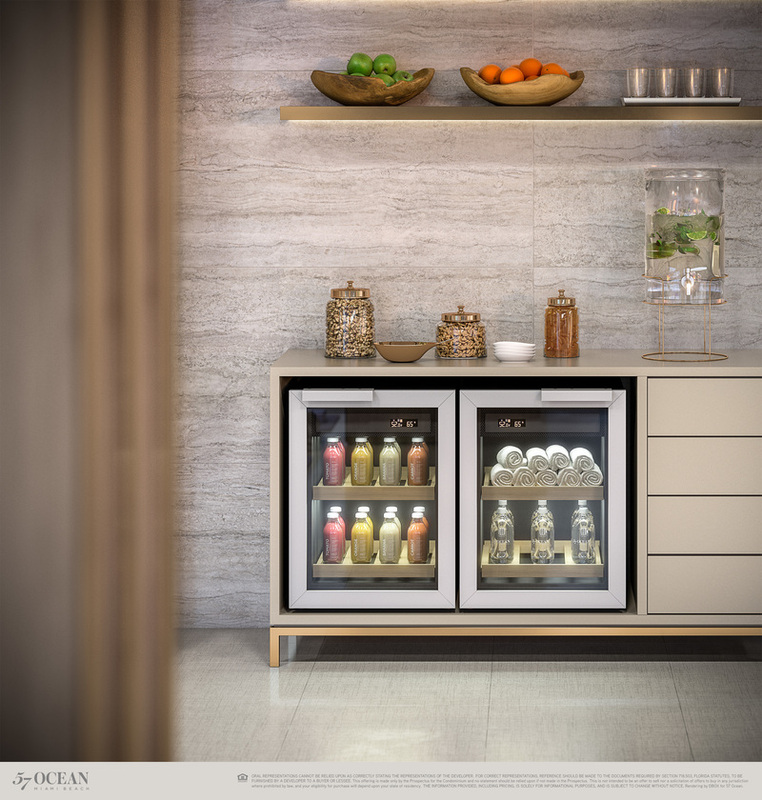 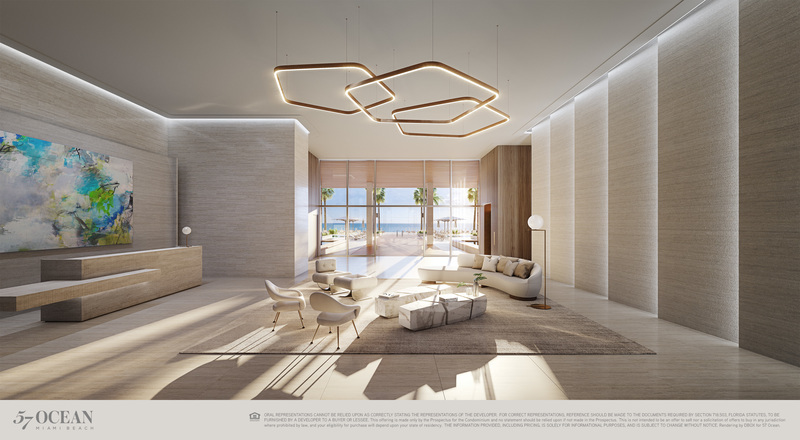 • Underground parking allowing one-level connectivity from arrival to beach. 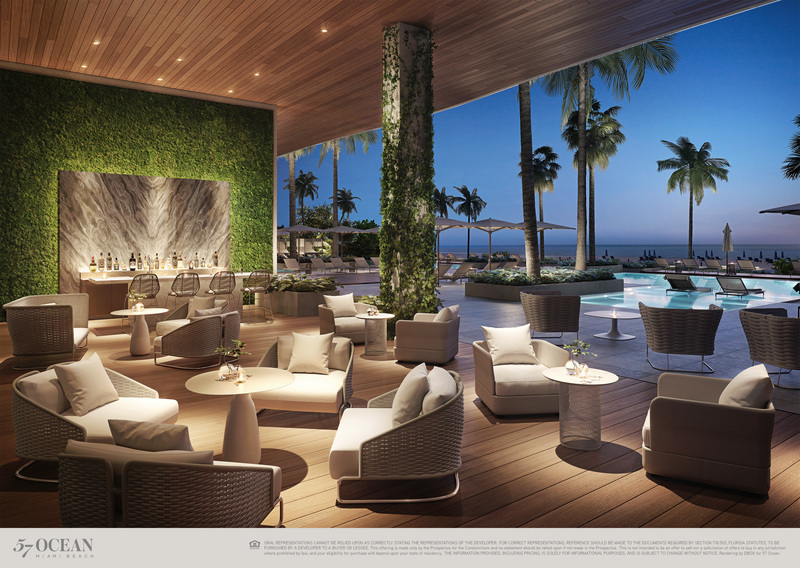 • Grand flow-through lobby fitted entirely in natural stone with unobstructed views toward the Atlantic Ocean. 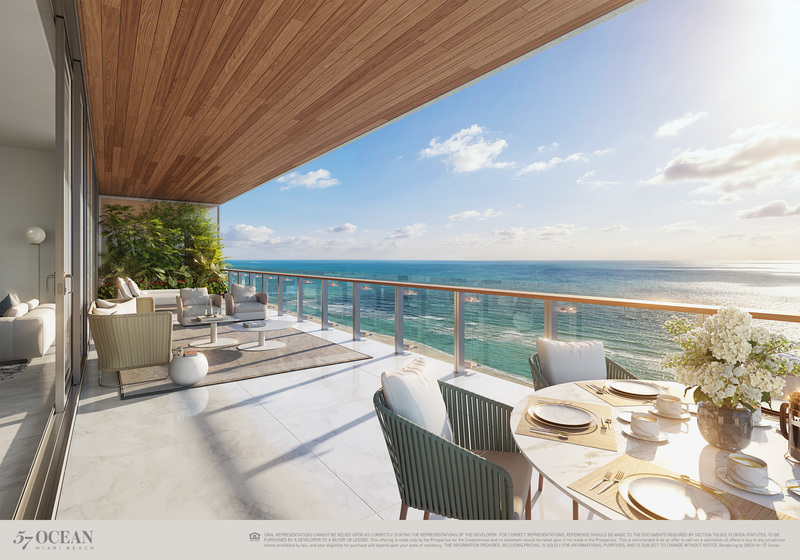 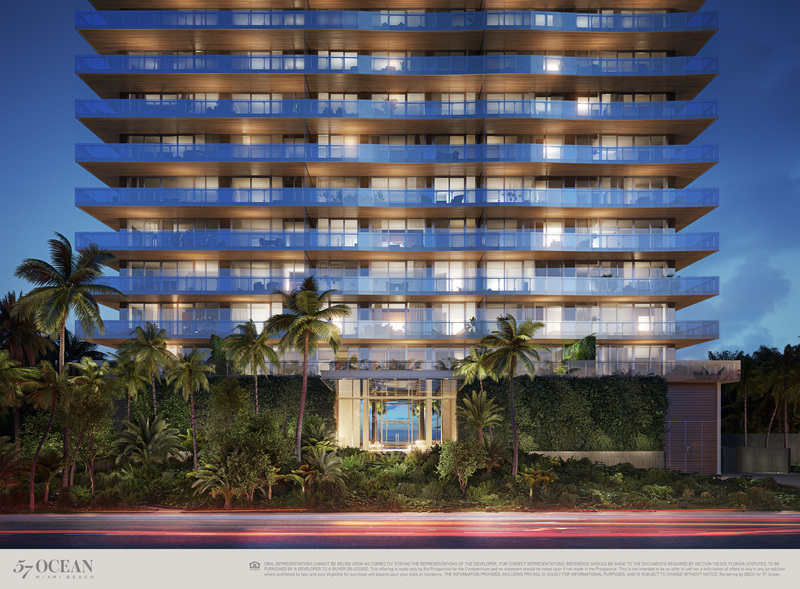 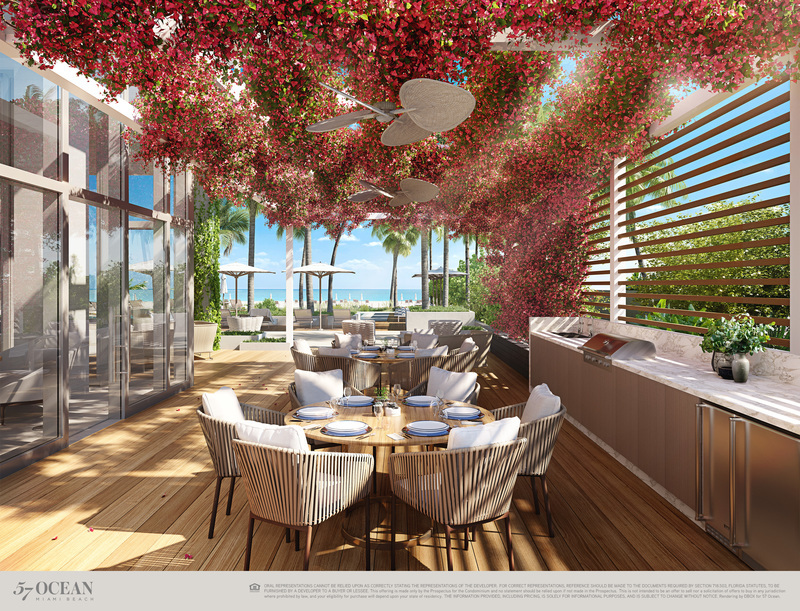 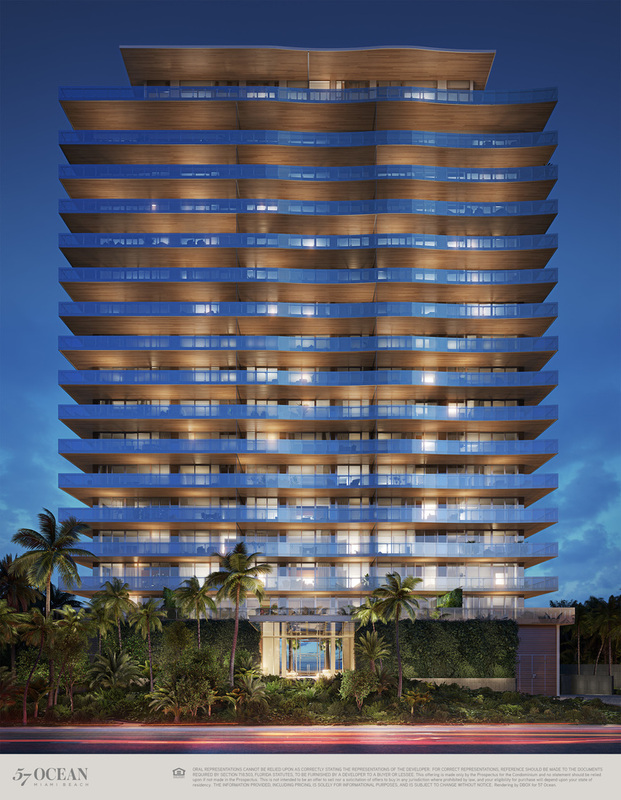 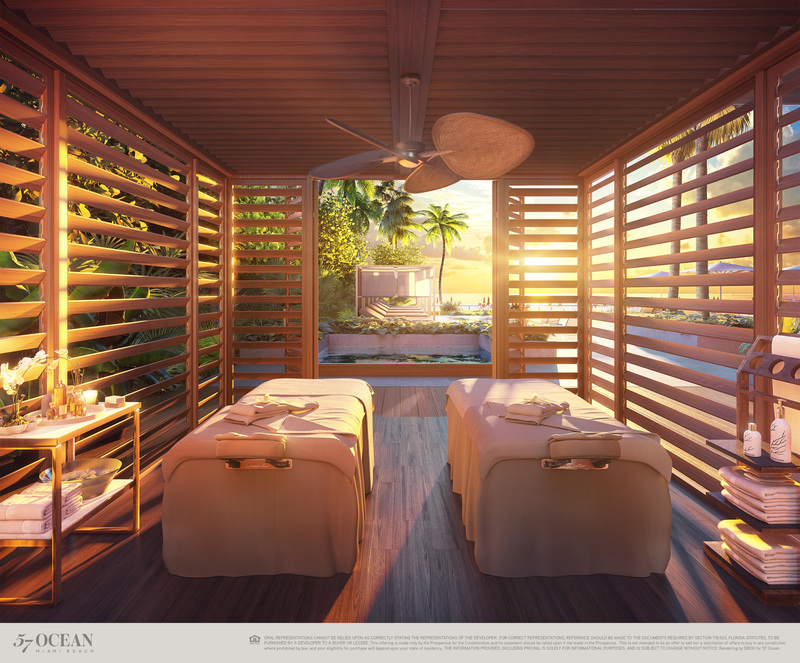 • Direct access to 220 linear feet of Atlantic Beach and the Miami Beach Walk. 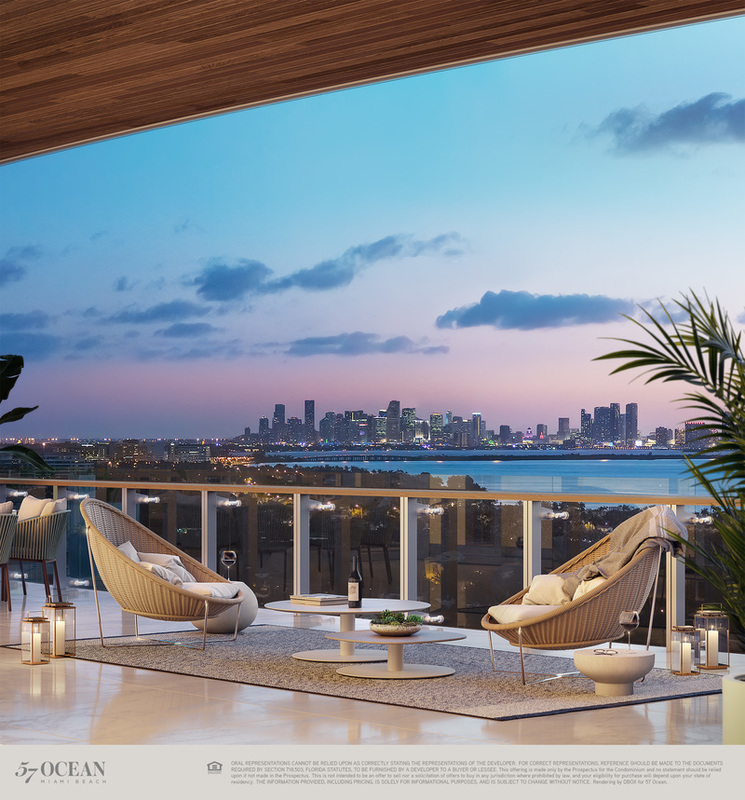 Miami neighborhoods including South Beach, Downtown, Design District, Wynwood, Downtown and Brickell. 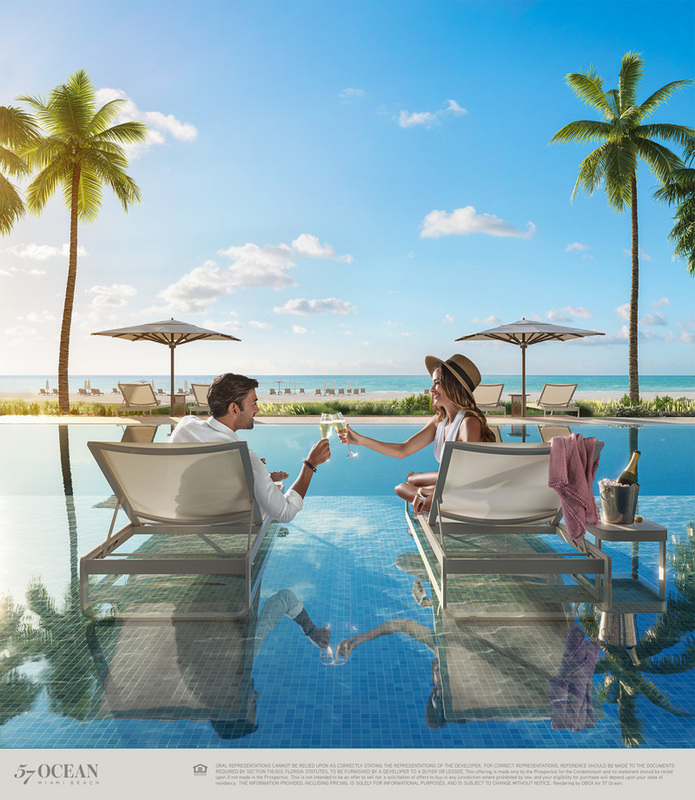 • Pool and Beach attendants. 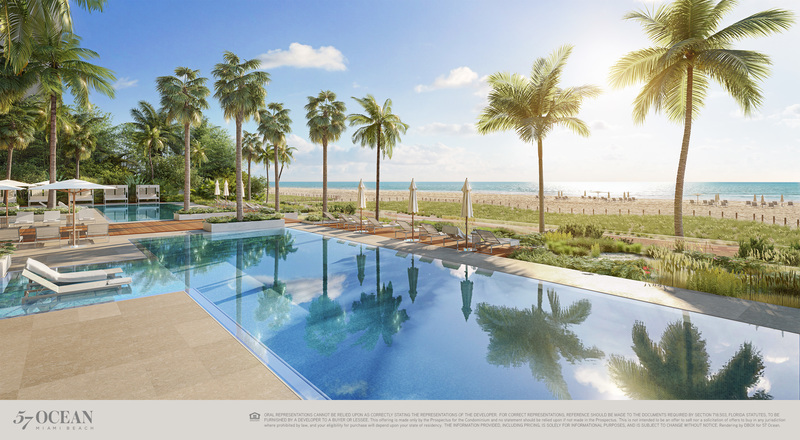 both poolside and on the beach.